With any external antenna, it becomes a necessity to remember about its exposure to Mother Nature that can be pretty tough on the equipment. In particular, antennas are susceptible to lighting strikes as they are made of metal and have some level of electricity flowing through them. Another thing to consider is wind. 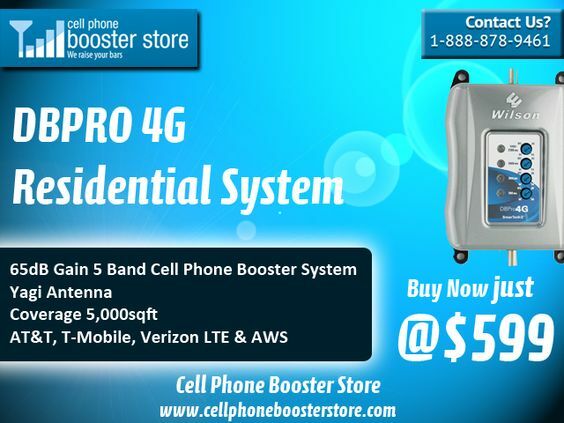 There are two different types of external antennas that one will encounter when deciding on a cell phone signal booster – omni-directional and yagi -directional. Omni-directional antennas are particularly designed to send and receive signal in all directions, so that one is able to reach multiple cell phone towers at the same time and boost cell phone signal for multiple providers. Omni antennas are best suited for circumstances where one needs to support multiple cell phone carriers, each with their own cell tower, and are already receiving at least three bars of signal outside of the house or workplace. It then becomes easier for the Omni antenna to pick up the signal from each of the carriers which is then supplied to the amplifier. This will thus boost the signal inside our home or office. Yagi antennas on the other hand are designed to send and receive signal in a specific direction. When one is not able to spread over a broad area, you are still able to reach significantly larger distance to cell phone towers that you would not be able to do with an omni antenna. On placing an external antenna in an area which has weak signal, and when we have only one cell provider that we are looking to boost the signal for, then a yagi antenna proves right for our use. Similarly there are two types of internal antennas – Dome and Panel antennas. Panel antennas are designed to podcast and receive signal in only one specific direction and they are proved to be the best suited for either long, rectangular spaces or multiple floors in a building. They can be either mounted on the wall facing down a space or mounted facing downwards at the top of a space and broadcast down and out through multiple floors. Dome antennas on the other hand are designed to cover one floor with signal in all directions and they are meant to be mounted on the ceiling at the centre of the space in order to broadcast and receive signal equally in all directions. They are not advisable to be used for multiple floors of coverage.